Looking after the planet and being green is not only the moral thing for you to do, but it can also make a lot of good business sense. As well as promoting a healthier workplace, going green could help your business save money as well as boosting your company’s reputation as consumers are becoming more environmentally-conscious, with a third preferring to use sustainable brands. So how can your business be greener you may ask? Here are four ways where you can start your eco-friendly journey. There are probably quite a few places where your company can save on waste and they don’t require big changes to be made in the office. It could involve installing recycling bins in the office to reduce waste, such as paper and plastic bottles. You can also cut down on any wasted energy, which will save you money in the long run. Encourage your employees to switch off their computer monitors, printers and the lights at the end of each day as standby mode still uses power overnight and on a weekend. Go green by switching to energy efficient bulbs and replace outdated appliances with greener counterparts that will use their energy more efficiently. Instead, the future of hydroelectric power in the United States will likely involve increased capacity at current dams and new run-of-the-river projects. 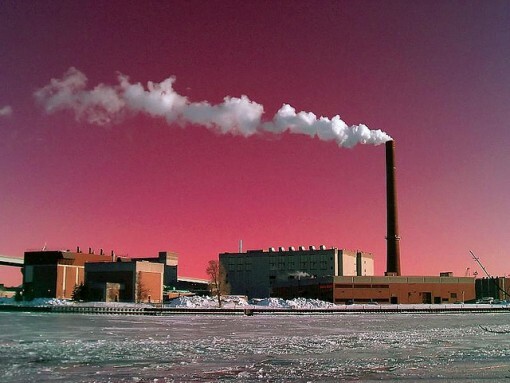 There are environmental impacts at both types of plants. For more on the benefits of hydroelectric power and other renewable energy technologies, see Benefits of Renewable Energy Use. The size of the reservoir created by a hydroelectric project can vary widely, depending largely on the size of the hydroelectric generators and the topography of the land. Hydroelectric plants in flat areas tend to require much more land than those in hilly areas or canyons where deeper reservoirs can hold more volume of water in a smaller space. At one extreme, the large Balbina hydroelectric plant, which was built in a flat area of Brazil, flooded 2,360 square kilometers—an area the size of Delaware—and it only provides 250 MW of power generating capacity (equal to more than 2,000 acres per MW) . In contrast, a small 10 MW run-of-the-rive plant in a hilly location can use as little 2.5 acres (equal to a quarter of an acre per MW) . Flooding land for a hydroelectric reservoir has an extreme environmental impact: it destroys forest, wildlife habitat, agricultural land, and scenic lands. In many instances, such as the Three Gorges Dam in China, entire communities have also had to be relocated to make way for reservoirs . Most countries depend on oil. States will go to great lengths to acquire an oil production capability or to be assured access to the free flow of oil. History has provided several examples in which states were willing to go to war to obtain oil resources or in defense of an oil producing region. States have even become involved in conflicts over areas which may only possibly contain oil resources. This trend is likely to continue in the future until a more economical resource is discovered or until the world's oil wells run dry. One problem associated with this dependence on oil is the extremely damaging effects that production, distribution, and use have on the environment. Furthermore, accidents and conflict can disrupt production or the actual oil resource, which can also result in environmental devastation. One potential solution to this problem is to devise a more environmentally-safe resource to fuel the economies of the world. Although much of the world depends on the production or the trade of oil to fuel its economies, these activities can cause severe damage to the environment, either knowingly or unintentionally. Oil production, and/or transportation, can disrupt the human population, and the animal and fish life of the region. Oil waste dumping, production pollution, and spills wreak havoc on the surrounding wildlife and habitat. It threatens the extinction of several plants, and has already harmed many land, air, and sea animal and plant species. The effects of oil on marine life are cause by either the physical nature of the oil (physical contamination and smothering) or by its chemical components (toxic effects and accumulation leading to tainting). Marine life may also be affected by clean-up operations or indirectly through physical damage to the habitats in which plants and animals live. The animals and plants most at risk are those that could come into contact with a contaminated sea surface: marine animals and reptiles; birds that feed by diving or form flocks on the sea; marine life on shorelines; and animals and plants in mariculture facilities.